1 The safe, minimally-invasive procedure, it uses low levels of visible red laser light to create a safe and painless stimulation is of the normal chemical pathways to free up reserved energy resources stored in fat.it is safe, effective and immediately demonstrable. 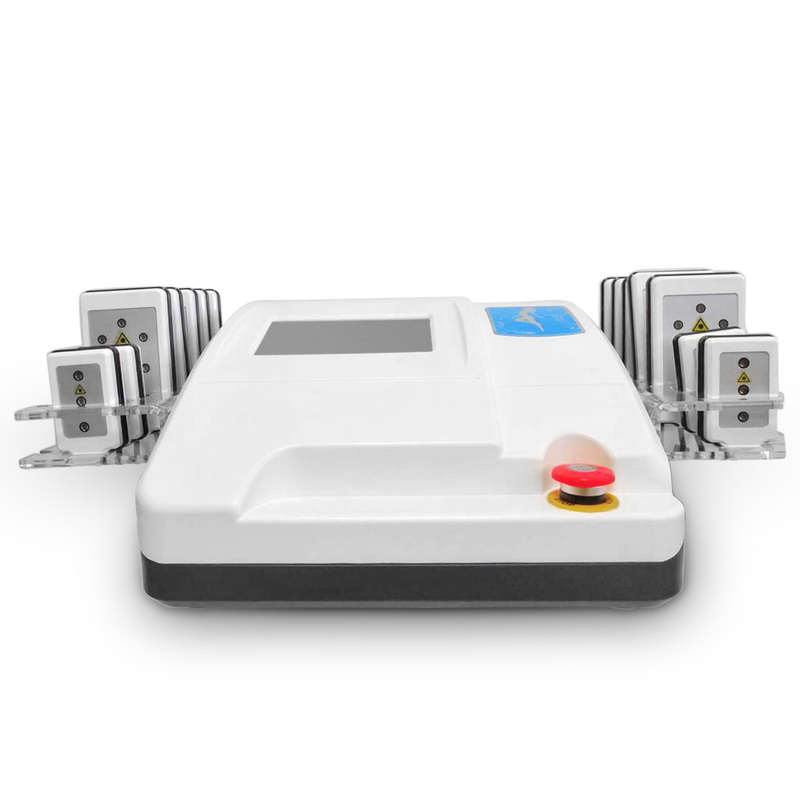 The main machine and pads are used white color .Make your room look less messy. 10 Big and 4 Small pads suitable for use on All Body Parts such as the neck, back, knees, hips, thighs, bottom, and arms .